Jack Turner opened his sports car business in 1951 and quickly started production on small British sports cars such as this 1961 Mk II. The company produced sports cars similar to MGs (the first car was a re-worked MG) and the like. Six different models were available until the company closed (voluntarily) in 1966. They could be purchased as full, complete running cars – or in kit form. This is a Mk II, of which about 150 were produced (a fire burned the factory records) from 1960 until 1963. Front suspension was based on a Triumph Herald and engines options came from Ford, Austin and Coventry Climax. This particular car as a 1275cc A-Series straight-four from BMC – the stalwart of tiny British four-cylinders. Turners are rare cars – only 317 are known to exist, their locations split almost evenly between the U.S. and the U.K. with the U.S. having a handful more more. They are quite attractive (especially with those awesome Minator or Minator-esque wheels) and when was the last time you saw one? The pre-sale estimate is $22,500-$29,000. For the complete catalog description, click here. And for the rest of Silverstone Auctions’ Spring Sale lineup, click here. 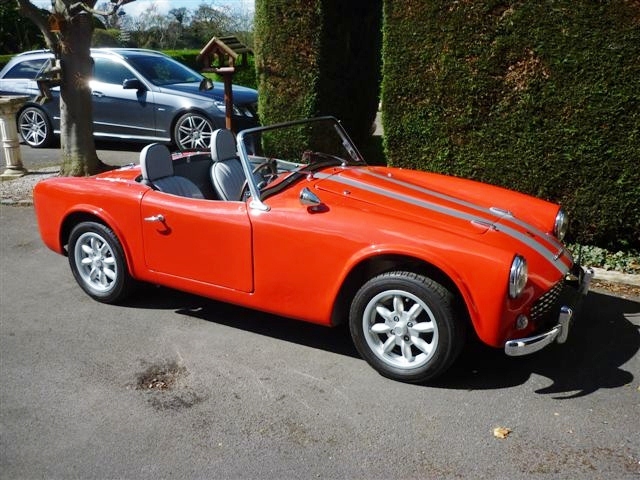 This entry was posted in Uncategorized and tagged 1961, auctions, british, cars, classic, classic cars, mk ii, silverstone, sports cars, turner by classiccarweekly. Bookmark the permalink.